An unexpected outcome happens when we paint roses Turquoise! Mondial roses painted in this magical blue hue creating a unique composition. Dare to be different! 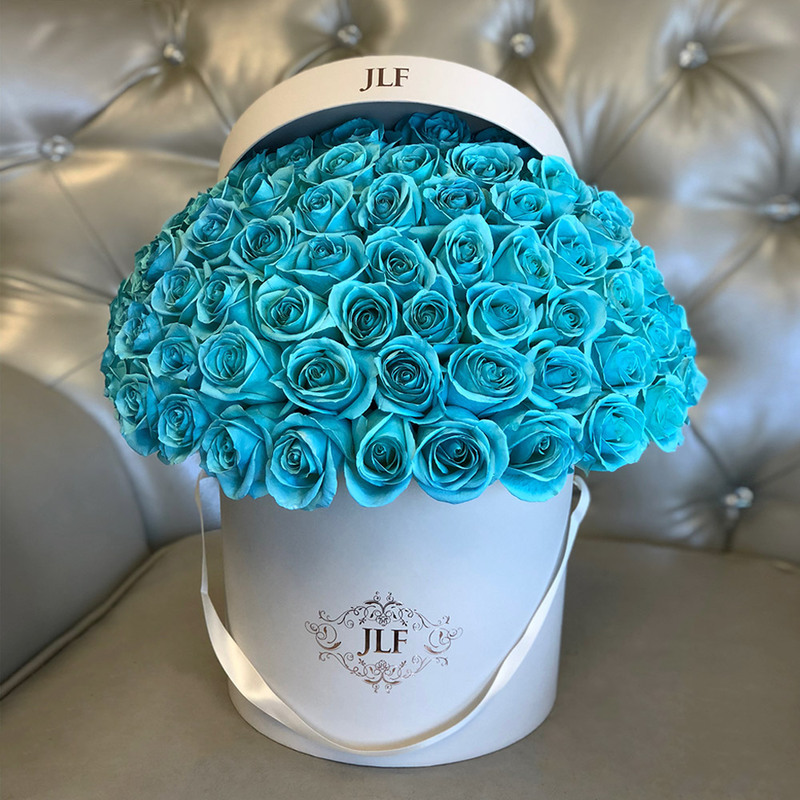 The arrangement in the photo is 50 roses in our Medium size box.